I would like some opinions on what the best reload is for .38 spl.I am going to use my s&w 686 with a 4" barrel, indoors at 50'. I have 148 gr DEWC bullets and have both bullseye and unique powders. 2.8 BE is a well liked load with a 148gr. DeweyHales wrote: 2.8 BE is a well liked load with a 148gr. 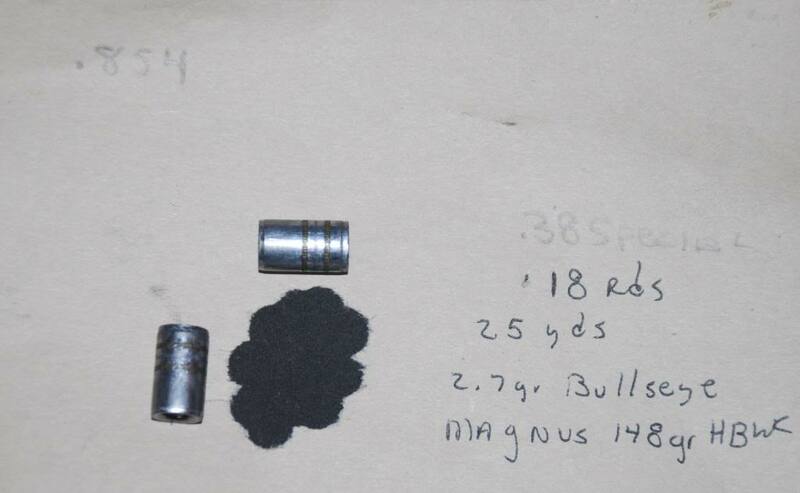 Under a 148gr HBWC bullet, I like 2.7gr Bullseye, 2.8gr Accurate No.2, or 3.1gr W231. Of the three powders, I like W231 the best...chiefly because it gives a satisfying report (a proper "bang") when shooting it, while the other two give an anemic-sounding "pop". Under a 148gr DEWC...I suspect similar loads will work, too. I have not had great success getting a DEWC to be accurate. Compared to Remington HBWCs, all others are a waste of time. I like 2.8-3.4gn AA2. Other known loads are 4.2-4.7gn AA5, 2.8-3.4gn 231/HP38, 2.5-2.6 700X, 2.8gn Nitro 100, 3.0gn Am. Select, 2.6-2.9gn Bullseye, 2.2-2.5gn Clays, 2.4-2.8gn N310, 2.7-2.8gn N320, 2.5-2.6gn TiteGroup (if it works well at all), 2.2-2.5gn TrailBoss, 2.7-3.2gn Unique, 3.2gn Universal, and 2.4-2.6gn WST. When you say Federal primers do you mean Small Match Pistol Primers in the red box? No not necessary. No need to use the more expensive stuff. Federals have the softest cup of all the primers available, so you'll always have reliable ignition. This is especially invaluable when shooting double action. Federals are also the most uniform in ignition strength. 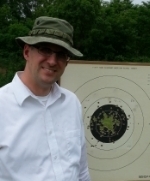 I learned this from a master shooter from PA, George Ban. I believe he was Civilian National champ a couple of times. Being a true civilian( and not having the Marine Corp Armorers) he did extensive tests himself and came to this conclusion. Frankly. when smart talented people tell u something, just pay attention and follow their lead. I've never used any other primers rifles or pistol. Flytrap, several local PPC shooters have had good success with the Dardas wadcutters using WST.